If frilly pinks, layers of lace, and red roses evoke feelings of gag rather than glad… then you my friend might just be a non-girly-girl. So what’s a non-girly-girl to do when it comes to her wedding – an event that’s solely based around the sweet sentiments of love? When going the less girly route, choose a theme that’s more masculine like Industrial Chic or Urban Rustic. 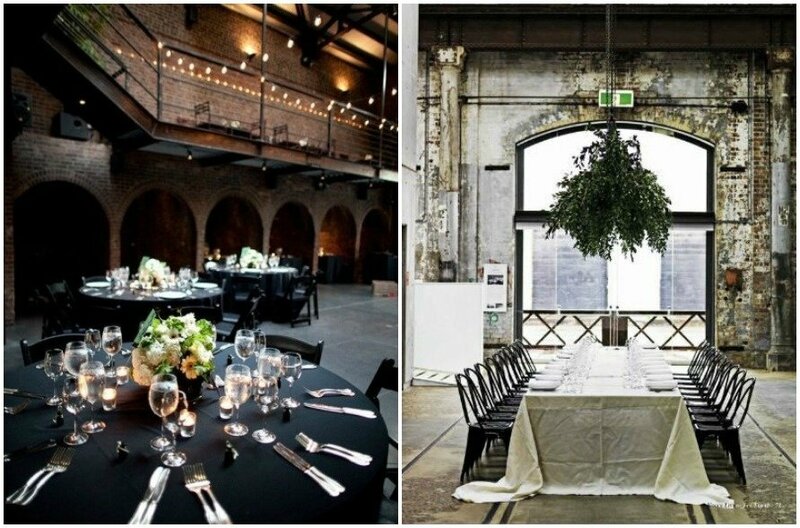 Both looks put focus on harder elements like metals and structural architecture, but is softened with linens and mood lighting. These combined elements bring to life a look that’s elegant, chic, and extremely wedding appropriate. When it comes to a non-girly-girl wedding dress, use your imagination to think beyond the traditional dress. We love this look pulled together by the ever-stylish Olivia Palermo. She incorporates a cashmere sweater, white shorts, and a tulle skirt overlay to create this ultra-hip wedding ensemble. Check the pastel color palette at the door. If you’re going for a non-girly-girl color scheme, then turn to black, white, cream, and gray with interjections of bolder colors if desired. 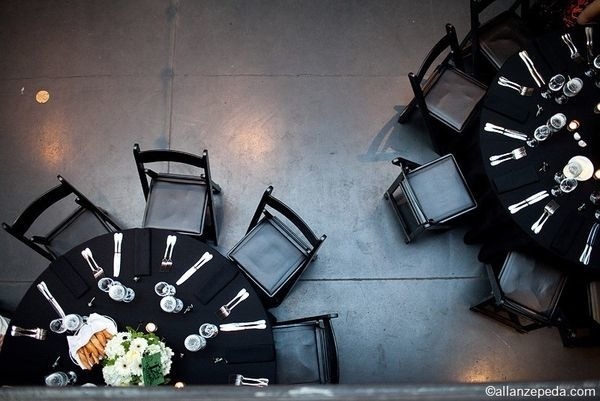 With the above example, notice how the white and green flower centerpiece and silver flatware pop when placed against the all black tablescape. It’s a gorgeous end result that’s neither overly feminine nor masculine. Replace traditional delicate flowers like baby’s breath, roses, and peonies with the modern and cool succulent. 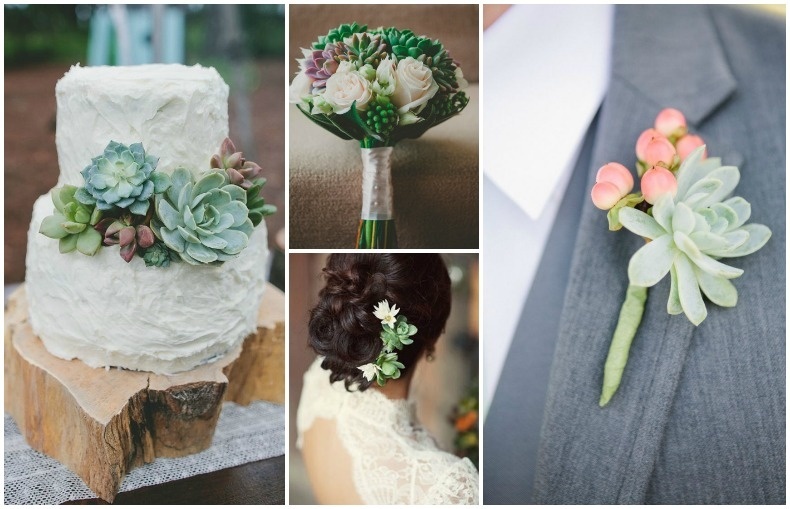 Using succulents as your main flower choice for a bouquet, cake decoration, or hair accessory is a wonderful way to add style, nature, and romance to your wedding. It’s a hot trend that’s perfect for non-girly-girls and ultra-feminine lovers alike. Check out our “How To Create a Succulent Oasis Bridal Shower” post for more ideas on how to incorporate succulents into your wedding.